Fair warning: some of this might not make a whole lot of sense to those without much musical experience. I apologize. I’m a musician. I play the viola in Penn State’s Philharmonic Orchestra, hope to earn a BM in Music Composition, and struggle with sight singing in music theory just like anyone else. I have what is usually called “relative pitch”- I can hear a melody and sing it back on the same pitches but I couldn’t tell you what letter notes I sang. For all I know, the key of the melody (or ‘do’ in solfege) could have been anything from C# to F. Basically, if you put a piece of sheet music in front of me and pointed at a pitch on the staff, I wouldn’t be able to sing it without first hearing it on the piano. This is pretty common for most people. Relative pitch is a left brain skill that can be learned, and it allows musicians to understand why a piece of music works and what makes something sound a certain way (1). 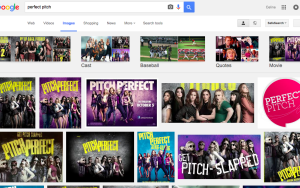 On the other end of the spectrum, you have something called perfect pitch or absolute pitch. It is not a skill you can acquire over time as an adult. Only one of ten thousand people have it, and most people go their entire lives not knowing they do (2). Basically, anyone with perfect pitch can hear a note played on any instrument and be able to identify it. In my high school, I knew someone with absolute pitch who correctly figured out that the fire alarm was a Bb without any external reference. While perfect pitch does not equate to any understanding or comprehension of music that is heard, it allows you to hear each note by the “color” of its sound (1). A person with perfect pitch can see a notated piece of music and be able to sing its exact pitches without any prompting, hear a piece of music and know what key it is in, and distinguish that a note is a “B” instead of a “C#”, pitches that sound identical to the ear (1). Almost every musician I know is envious of the special few who are graced with absolute pitch. Though it is not something that can make or break a performer, it is extremely useful when sight reading music for the first time or dictating a melody by ear in music theory classes. As a composer, I wish I could hear a melodic pattern and be able to play it back on my viola or even a piano to be able to analyse compositional techniques more quickly. Getting down to the science of it, it appears that the auditory system of an absolute listener is the same, both physically and functionally, as that of a non-absolute listener. Perfect pitch is an act of cognition, “needing memory of the frequency, a label for the frequency (such as “B-flat”), and exposure to the range of sound encompassed by that categorical label. Absolute pitch may be directly analogous to recognizing colors, phonemes (speech sounds) or other categorical perception of sensory stimuli. (3)” Basically, just like most people learn to identify the color purple by the “frequencies of the electromagnetic radiation that is perceived as light, it is possible that those who have been exposed to musical notes together with their names early in life will be more likely to identify, for example, the note C. (3)”. Most people who have perfect pitch, it turns out, start music lessons before the age of six. Perfect pitch might also be related to a person’s genes, but this is largely untested. It’s just as likely that it can only be obtained through exposure to music at a young age (3). While I understand that this issue is far from urgent, explaining the lack of studies, understanding why some people have absolute pitch is something I definitely feel could use more experimentation and research. Scientific study began in the 19th century, but many aspects of the anomaly are still unexplained or uncertain. For example, how much does a child have to listen to at a young age to increase their chances for developing perfect pitch? How does having perfect pitch improve cognition for other aspects of life? I don’t expect these studies would be controversial or expensive to conduct. This is not a life or death issue, so the ethics of conducting an experiment focusing on the benefits of developing perfect pitch or the correlation between a musically trained ear and higher intelligence shouldn’t be a problem. Scientists could simply conduct a trial with a control group of children in a certain age range who are not exposed to classical music and an equally randomized group that will listen to classical music for x hours a day. After a set period of time, all children will be tested on physical and cognitive function. Reverse causation and confounding variables are impossible in this instance; the children have no choice in whether they must listen to music or cannot, and with a randomized trial, there will be an even mixture in each group of more and less intelligent children. Therefore, if a positive correlation DOES appear in the study, scientists can assume that developing perfect pitch early on causes an increase in intelligence. Scientists can then conduct another experiment testing the effectiveness of certain music genres on developing perfect pitch, the most beneficial age to train one’s ear to hear with perfect pitch, and the time one has to train each day to best develop the skill. 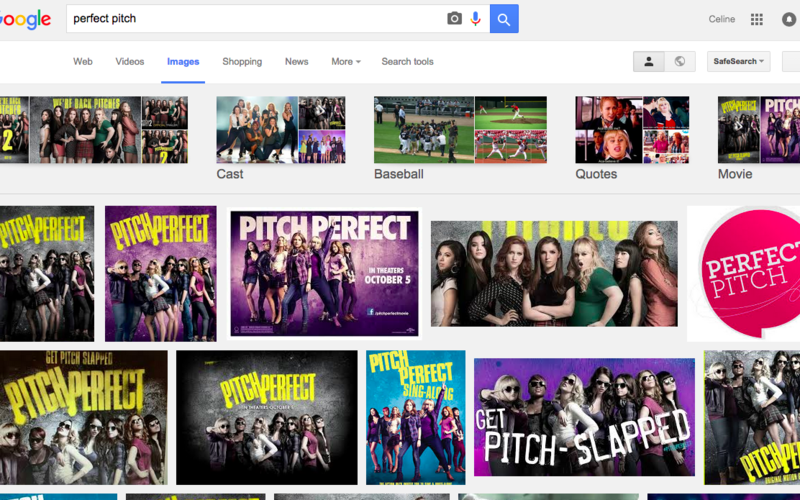 So what I’m trying to say is… when I google “perfect pitch”, I’d much rather see articles that answer the questions above or studies that expand upon information that has been around for a long time than what currently pops up- reviews to the disaster that is the movie Pitch Perfect. This entry was posted in Uncategorized and tagged music, perfect pitch, science in music on September 19, 2015 by Celine Elizabeth Gosselin.